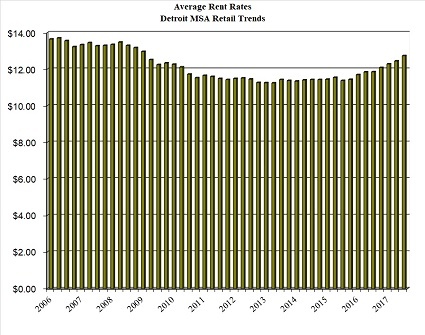 The above chart is based upon a derivation of value considering market-wide changes in rent, occupancy, expenses and capitalization rates. 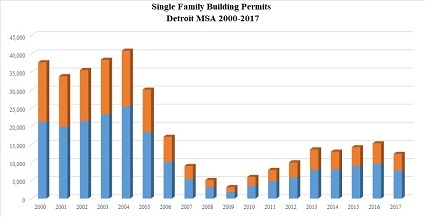 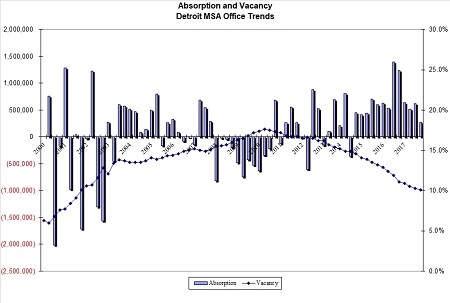 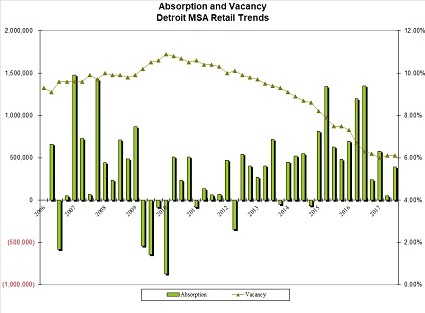 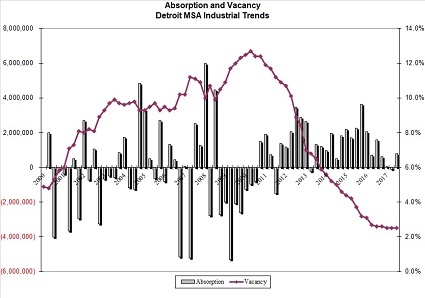 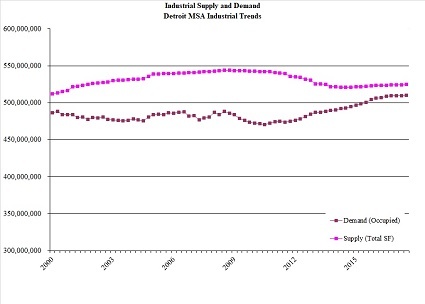 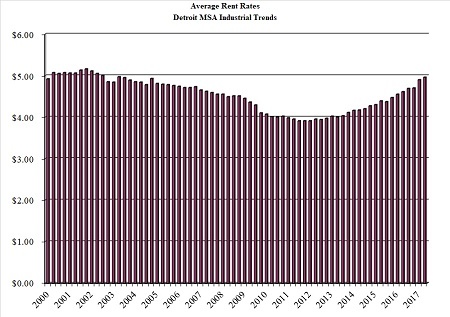 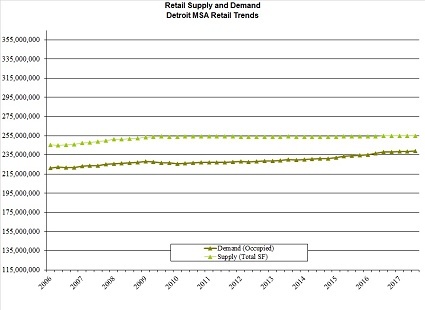 The above commercial real estate demand index is based upon the total occupied square footage at the end of each quarter in the Detroit MSA. 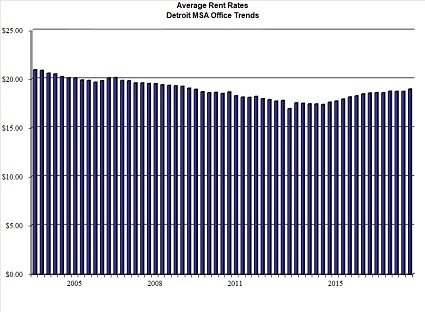 It utilizes the occupied square footage as of the first quarter of 2000 as the base value (100). 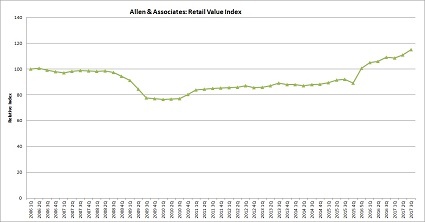 The index is based upon data licensed to Allen & Associates and utilized in their valuation and consulting practice.